The German Intelligence Agency chief says Berlin is dependent on the NSA, not vice versa, as US presence is vital to protect the country. Gerhard Schindler even laid the blame on his own organization for allowing the NSA to spy on European companies. Schindler, the head of the German Intelligence Agency (BND), was speaking at a special parliamentary committee on Thursday. He acknowledged his organization had made mistakes when handling requests from the National Security Agency, but added that Germany would be a worse place without them. “We are dependent on the NSA, not the other way round,” the spy chief said, as quoted by Der Spiegel, adding that without the NSA’s presence on German soil, the BND would be rendered useless. “Without this cooperation we wouldn't be able to carry out our work,” he said. Schindler said the German agency made a mistake by failing to check the list of search criteria or selectors that the NSA had asked it to use for surveillance activities. The selectors included data such as names, IP addresses, telephone numbers and email addresses. 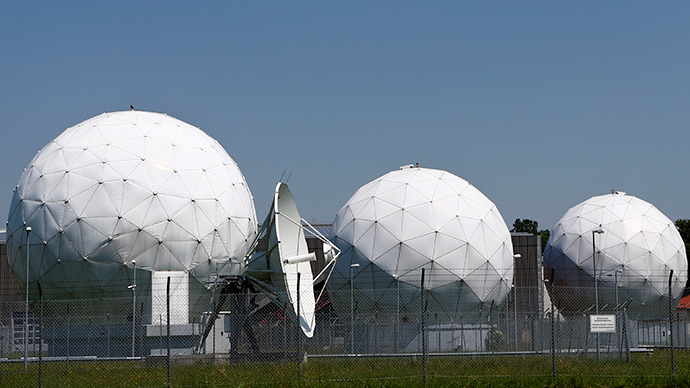 The searches were conducted from the BND’s facility in Bad Aibling, which was normally used to gather data come from places such as Afghanistan or Somalia. However, it was recently discovered that some of the search criteria the NSA asked for were used to spy on some top European companies, such as Eurocopter, and the European aviation consortium Airbus. The German spy chief added that the BND had failed to carry out a comprehensive check of the search criteria and had only previously only undertaken spot checks. The thorough inspections only started in 2013, after Schindler had joined the intelligence agency in 2012. "These developments cause me great worry, as they will ultimately call into question the ability of this service to function in the future," he told lawmakers, Deutsche Welle reported. "We cannot do our job without international cooperation." In April, Zeit Online revealed that the NSA had sent about 800,000 pieces of information to the BND headquarters in Pullach for them to research. Several times a day, the BND would download the NSA “selectors” into their monitoring system and would use them to spy on targets. This took place over a 10-year period. Schindler claimed that he only found out about some of the more troubling things his agency was asked to search for by the NSA in March. He said this was caused by a lack of communication between German intelligence across the country – again absolving the NSA of any blame. The spying scandal has not gone down well with the German public, with one-third feeling deceived by Angela Merkel regarding allegations that the BND assisted the NSA to spy on Germany. The BND dramatically reduced its cooperation with the NSA on May 4 in the wake of the scandals. Berlin had demanded that the US spy agency first file an official request explaining the need for the internet-based data from the Bad Aibling listening post in Bavaria, where 120 BND employees and some NSA technicians work, according to reports. The BND will still continue to garner telephone calls and fax messages for Washington as this service falls under a different agreement. "I think they've pulled the emergency brake because, even in 2015, they still can't control the search terms for Internet traffic,” von Notz said.